Veteran Congress leader and once political arch rival of Virbhadra Singh, Sukh Ram has come out of self-imposed political exile and thrown his weight behind HPCC president Virbhadra Singh for the top post in state if party returned to the power. Veteran leader said that Virbhadra had the advantage of having been the Chief Minister five times and had the ability to play an effective role. 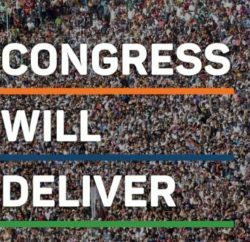 He claimed that the trend among the people was of tilting towards the Congress and presumed that the party would form the next government. 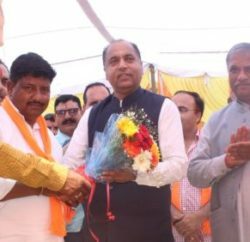 Sukh Ram, who engineered Virbhadra’s ouster in 1998 by lending support to the Prem Kumar Dhumal-led BJP in the wake of a hung Assembly, maintained that he had differences with Virbhadra, but only on policy matters.